Good question! You know when you load a console game and it has a few different game company logos on the front? They represent all of the people/studios who do different parts for the game. As long as you have known us, we have always done both the developing and publishing of our games. But we did not make this one. I know, at first glance from the art it looks like we did. Which is exactly why we were their first pick to be the publisher… which really means promoter when you get right down to it. Hyper Awesome Entertainment is made up of the guys who worked on Shadowtale back in the day. We have actually done a lot of things together and built up a lot of trust over the past 10+ years. Which is why I am proud to help spread word about their game and find it happy players. 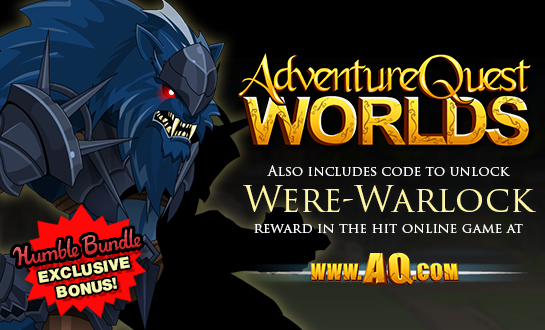 Also, if this game does well there is a chance we could work together with Hyper Awesome on a game project in the AQWorlds or Dragon Fable universe. 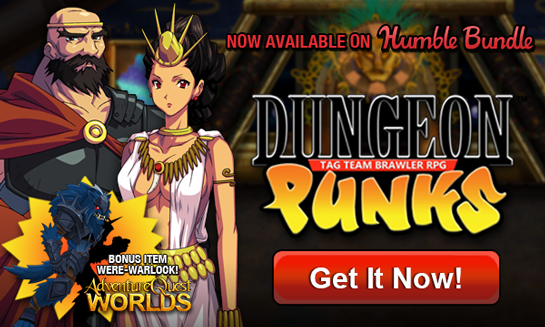 O_O Check out Dungeon Punks and see its game trailer at http://DungeonPunks.Artix.com . The game is normally $15, but we are running a 10% launch discount until the end of the month.